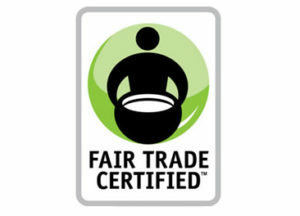 When you purchase a Fair Trade certified product, you can feel secure that it was ethically produced. Fair Trade is a non-profit organization that works with farms like ours to ensure that wages are appropriate, working conditions are safe, labour laws are followed, and only the safest, if any, agrochemicals are used. They also help farmworkers make better financial decisions for their communities. A portion of the price you pay for each Fair Trade certified product goes back to the community that brought it to you. Fair Trade monitors these premiums to ensure that farmworkers receive what they have earned, and that the money is spent in ways that benefit their communities. It is up to the farmworkers themselves, however, to determine what those ways are. For example, last year the team at one of our Fair Trade certified farms voted to spend their premiums on vision care. As a result, they received 96 pairs of eyeglasses. At GoodFarms, we consider Fair Trade to be one of our most important partners. Most of the products we currently sell are Fair Trade certified, including strawberries, Brussels sprouts, and a variety of tomatoes. So the next time you are shopping, be sure to look for products with the Fair Trade label. Buying them is an easy way to make a difference.